NOTE: Please ensure to have a survey carried out by a Gas Safe Register registered gas installer to check and certify the compatibility of your chimney or flue with this fire before making any purchase to avoid disappointment. Installation of a Liberty appliance also requires either a class 1 chimney or alternatively a false chimney breast which can be constructed in the room with a 175mm diameter metal flue system. Sizes in the above tables refer to millimetres (mm).The gather hood option is available if you are connecting to a prefabricated flue or in instances where the product is being installed into an open chimney without a liner, which will also help to minimise heat loss and soot / debris falls onto the fire. (Gather hood included in the cost of this fire) The gather hood terminates with a square opening, if attaching to a flue liner the Flue adapter will be required (FLUE ADAPTOR NOT INCLUDED IN THE COST OF THIS FIRE).Output depends on flue-pull/draw, diameter of flue, together with any other local/natural conditions of fireplace. IMPORTANT: Installation also requires a 100mm hearth in front of the appliance (as shown in the image above), although this may be at floor level (HEARTH NOT INCLUDED WITHIN THE COST OF THIS FIRE). The Apex remote control included with this fire allows the flame height to vary between high and low from your armchair. Also be aware that due to the fire producing heat the interior of the fire may become marked over time through general wear and tear which is quite normal and to be expected. NOTE **** If you are planning to put a television above this appliance and you have a normal flue with adequate draw on it, then it may be possible, as long as the distance to the TV is a minimum of 450mm from the top of the fire and as long as it has been checked with the TV manufacturers installation instructions with regard to installation and heat proximity. If in doubt please contact and check with your TV manufacturer. 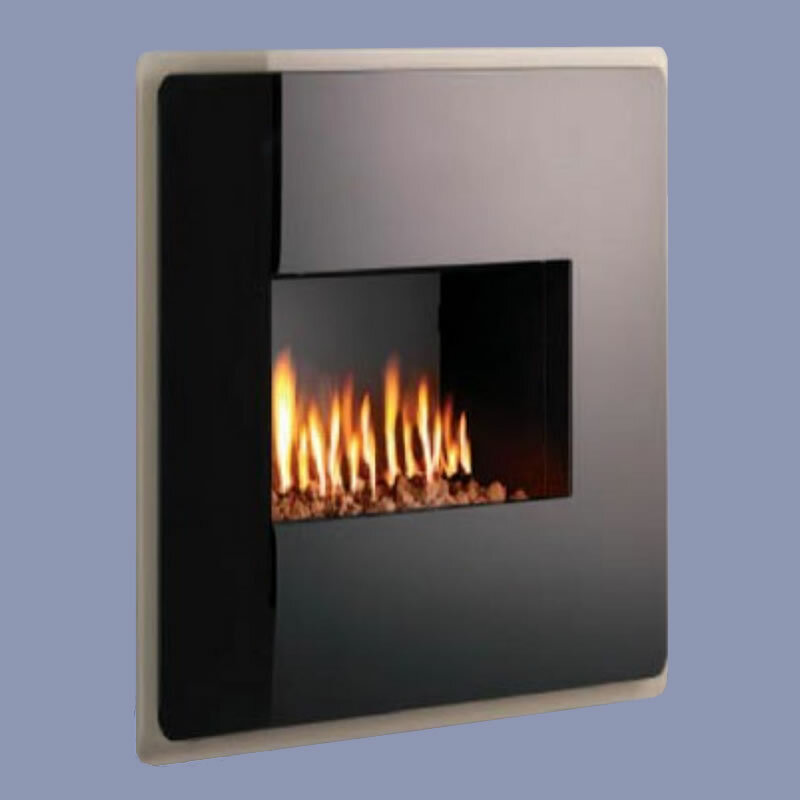 Due to the number of size measurements on this fire it is strongly recommended that you have the appliance on site / in your possession to take accurate measurements from before proceeding to create any aperture in the wall to avoid potential mistakes being made.